Koei Tecmo launched a new trailer showing gameplay of players taking down terrifying titans. Koei Tecmo launched a new trailer for their upcoming titan-slaying action game Attack on Titan 2, coming to PlayStation 4, Xbox One, Switch, and PC in March 2018 in North America and Europe, and in Japan with each platform confirmed with an additional PS Vita release. The trailer shows how players will use the 3D Maneuvering Gear to swing across levels and land a killing blow to a titan. Additionally, players get a closer preview of the mysteriously intelligent titan that even the second season of the anime hadn’t provided. 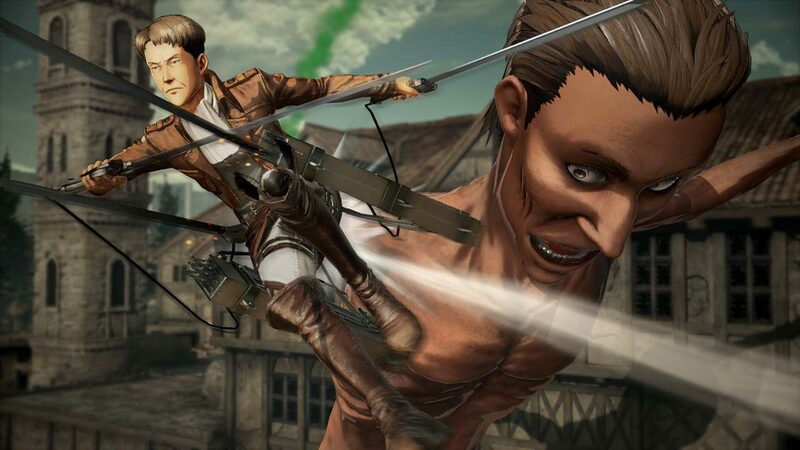 Attack on Titan 2 will follow the events of 2016?s Attack on Titan video game. The game will feature fast action which will mimic scenes from the second season of the anime series. Also, Attack on Titan 2 will have a total of 30 playable characters, with more characters being announced as the game gets closer to launch. Most recently, Oruo Bozad, Petra Rall, Gunther Schultz, Eld Gin, and Moblit were revealed as playable characters. These characters might not be as memorable as Erin or Mikasa, but this will give them a chance to build their character and possibly steal the spotlight from the main cast and show fans exactly what they’re made of.